“This book is about Farah Khan’s Life Philosophy embracing the most important values of Love, Spirituality, Nature and Roots. There really aren’t enough superlatives to describe this book; Jewelry for Gentlemen is so much more than what one should expect from a book with such a simple title. It would be impossible to call this book an easy read even though the subject matter is quite efficiently examined and explained. 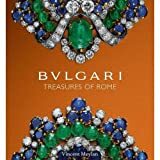 If you were expecting a sumptuous and glorious coffee table book about the haute joallerie of Bulgari, then you will only be partially correct. 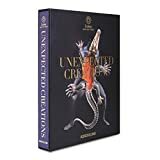 This is not your usual or expected coffee table book focusing on a fine jewelry brand. "a glorious volume . . ."
In the world of high jewelry (haute joaillerie or alta gioielleria) it is a rather well known fact that the French have always maintained a leading, if not, starring role. Lydia Courteille can be classified as one of the most original and imaginative of the 21st century creators of haute joallier. Olivier Dupon has curated a selection of some of the most talented and creative jewelers from around the world and their oeuvres. From the unassuming cover the reader cannot possibly imagine or be prepared for what is to come once they begin to read this inconceivably and jaw-droppingly magnificent book. The funny thing about books of this ilk is that the advice or instruction, as it were, is only as good or as credible as its source. Consider taking plumbing advice from a veterinarian. You have heard of WWJD (What Would Jesus Do?). There can be no greater compliment to a designer than to have a museum mount an exhibition of his or her work. So Mr.
“Serpentina: Snake Jewellery from Around the World will repeatedly enlighten and educate with each reading. “Ms. Matheopoulos has provided a scholarly yet highly entertaining volume where both opera and fashion share a stage. It should come as no surprise to find that Ms. Kazanjian’s opus is all about the covers of Vogue magazine starting from its inception in the 1890s to the present time.